Spring cleaning can be a purifying and therapeutic experience. But, how often do you associate a sparkling clean home with toxic pollution and landfill waste? 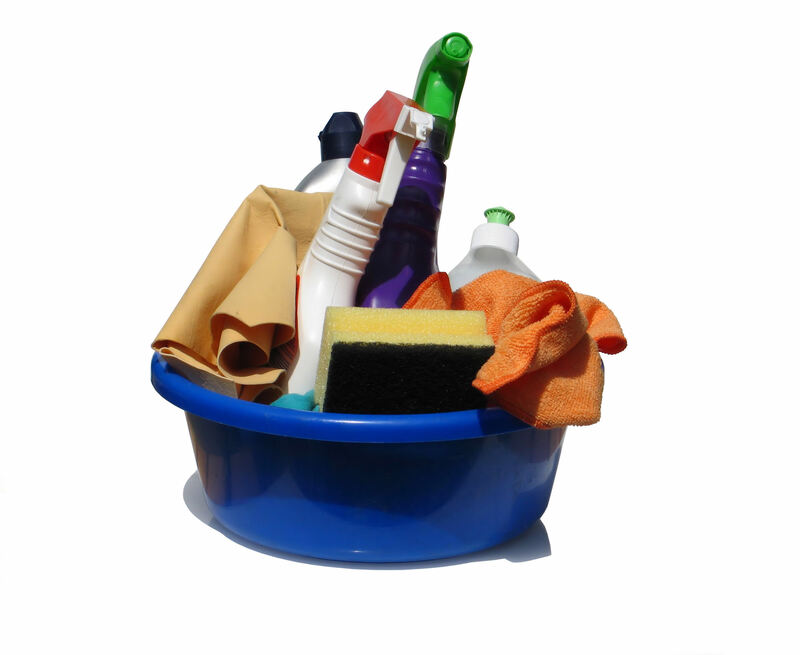 Research now shows that many common cleaning solutions can be harmful to the earth as well as to your health. To help give your home a “green clean” this spring, we’ve compiled a checklist of easy eco-solutions for your everyday cleaning needs. Not only will your house shine, but Mother Nature will thank you, too! “Getting rid of all toxic cleaning products is the easiest way to get started,” says Lauren Mangion, founder of Conscious Home, a Calgary-based eco-coaching service. “There are affordable, natural alternatives for everything.” Begin by taking a look inside your pantry. Vinegar is 99% as effective as a disinfectant and has amazing cleaning properties when mixed with warm water. It can take the place of an all-purpose cleaner and does a fabulous job on floors. Mix baking soda with water to create a non-toxic paste, which can be used for cleaning kitchens, removing stains in the bathroom and even polishing silverware. Lemon juice is another common cleaning ingredient. It’s a good grease-cutter and had a nice, refreshing scent. Shake well or mix in a food processor to prevent clumps. Use 1/2 tablespoon per load. Add 20 to 25 drops of eucalyptus oil to each load to eliminate dust mites. Shopping for green products can be overwhelming, especially with so many brands vying for our attention. Your best bet is to look for all-natural ingredients, clearly listed on the label and keep an eye out for the EcoLogo certification, which indicates environmentally preferable products. Eco Mist Solutions (available at Home Depot) was developed in Woodbridge, ONT., and offers nine, unscented cleaning sprays made from all-natural, plant-based ingredients. They work wonders in all rooms of the house and are gentle on the skin. After a day of intense cleaning, it’s not uncommon to be left with overflowing bags of garbage. To reduce the waste produced during the cleaning process, simply avoid using disposable supplies. Lauren suggests using reusable rags, which can be made easily by ripping up old clothing or using old towels of face- or dishcloths. Also, for a greener clean, replace paper towels with microfiber cloths, which can be used for dusting, scrubbing and cleaning glass. Unlike paper towels, these machine-washable cloths are lint-free and highly absorbent. In the Vancouver area, Green Maids Canada offers a full range of home-cleaning services, including a green approach to carpet cleaning. Their eco-safe method uses a natural line of manufactured products combined with baking soda for spot treatments and leaves carpets smelling fresh without any traces of lingering chemicals. Great article I’m actually a huge fan of Eco Mist! I find that it’s hard to find products that are honest and upfront about their ingredients and that actually work. Kudos to those guys.